The recent official portrait is not the first of Obama by Kehinde Wiley. 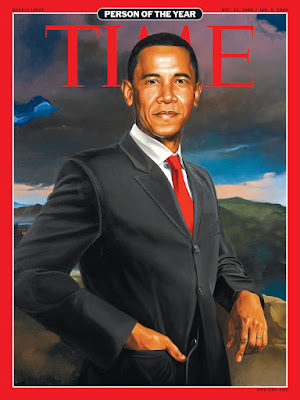 I’ve always been a fan of the artist, so working at TIME as a consultant on the covers, when it was clear that Obama would be the 2008 Person of the Year, Wiley was at the top of my list. He was ultimately edged out by Shepard Fairey, whose iconic Obama poster made him the logical first choice. In those golden days of TIME, we often commissioned several artists for a single cover—in case, for one reason or another, something didn’t work out. The original artworks of those that did run were ultimately donated to the National Portrait Gallery of the Smithsonian, where Wiley’s most recent portrait will also end up. By now even people in San Francisco, where it was on the front page of the Chronicle a few weeks ago, know about our Berkshire Museum’s plans to sell the best of their art collection and raise $60-80M to fund a new mission. The National Review called it “the biggest art-world story of 2017,” and indeed, it has been written about in over 4,000 outlets worldwide. The controversy has attracted attention and sparked widespread opposition because it’s about much more than the specific artworks the Museum's board and staff intend to permanently send away from Pittsfield. Once transferred into private hands, it is most likely that these important works, at least in our lifetimes, will never be seen in public again. The action sets a dangerous precedent for all museums, libraries, and historical societies, and is a blow to the very idea of public access to original artworks, historical artifacts, and manuscripts. Such deaccessions are related to the damaging long-term national trend toward the privatization of many kinds of assets previously held in the public trust. Escalated under the Trump administration, this includes the selling off of national parklands for private mining and drilling, such as is occurring in the Berkshires’ own Otis State Forest and the plan for PCB dumps in the Housatonic River, as well as the concern over “net neutrality” and control of the Internet which is, in essence, a vital public utility. Responsibility for fixing the infrastructure and the running of prisons, hospitals, and schools, is being transferred to private operators motivated by profit rather than public service. In contrast, institutions such as the Berkshire Museum were specifically created to provide resources and services for the benefit of the community, with the boards considered the stewards and protectors of the assets. Called “trustees” for a reason, they have heretofore been guided by ethical constraints that only allowed sales from collections for the purpose of improving the collections, not to fund operational expenses. Similarly, those who donated items did so with the intention that they would be cared for and available to the public. The ethical guidelines also have another function, which is to ensure that boards will not leap to sell from collections instead of doing the harder work of fund-raising, or use such profit for individual gain, as in the awarding of construction and other operational contracts to special interests, or the raising of administrative salaries. Because tax-exempt organizations are beholden to the public whose taxes contribute to their support, their first priority should be the nurturing of community trust. Toward this end, it is essential that their operations and financial records be fully public and transparent, with any significant changes in mission made in the context of community engagement. In the case of the Berkshire Museum, however, many felt betrayed by the Museum leadership’s decision to sell the art, as well as the way they went about it. The Museum’s much touted (and no doubt expensive) “two-year planning process” lacked transparency, rendering its results invalid, as at no time were participants informed that the “New Vision” would be achieved through the sale of important and much-beloved artworks. Instead it was a fait accompli, announced after the deal with Sotheby’s had been signed and the art already removed from Pittsfield. Further engendering suspicion, the Museum held back the full list of the 40 works until public uproar forced their revelation. In addition, although the Museum has asserted that if it does not sell the artworks it will be forced to close in eight years, officials there have offered no detailed proof to verify this claim. Meanwhile, ongoing analysis by several independent experts has questioned this premise, as well as the need for a $40M endowment, considered wildly inflated for an institution of its size. Note that the Norman Rockwell Museum gets by with an endowment of $4.5M, while the Hudson River Museum in Yonkers, NY, with a similar size, mission and demographic as the Berkshire Museum, has an even smaller endowment. The Albany Institute of History and Art, in an equally economically challenged area, mounts exhibitions reviewed in the New York Times on an annual budget of $500,000 less than the Berkshire Museum, and employs two curators, where the Berkshire Museum has none. So, yes, the Museum’s actions have created a crisis, but within that crisis lies new opportunity. A recent letter to the Berkshire Eagle quoted P.T. Barnum saying "Do not squander good or bad publicity but exploit it!" The writer suggests that, inspired by Barnum, a “Forty Works Exhibition” could be one of the biggest art events on the East Coast for 2018. In addition, fund-raising opportunities have increased a hundredfold, in just the kind of circumstances that enabled the Detroit Institute of the Arts to reestablish itself after the City of Detroit threatened to sell off its holdings to fund the sagging city economy. Although we’ve been divided, what we have in common is that we love the Museum. The citizens’ group of which I’m a part, Save the Art—Save the Museum, has repeatedly invited the trustees to use the passion ignited in the community, harness the energy of all who want the Museum to survive, and come up with a revised plan that saves the cultural treasures of the Berkshires while creating financial stability. To mobilize this outpouring of local and national care, the Museum's leadership must courageously acknowledge the public outcry against their plans and agree to work constructively with the voices that have emerged, particularly those art and museum professionals who have offered help. In our interconnected world, only collaboration will bring about goodwill and the long-term enthusiastic support the Museum will need for whatever mission it adopts. 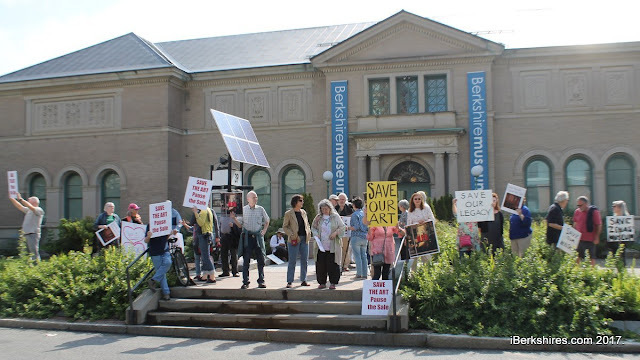 Yes, the Berkshire Museum can be saved, but only by bringing back the art and engaging in genuine community dialogue. 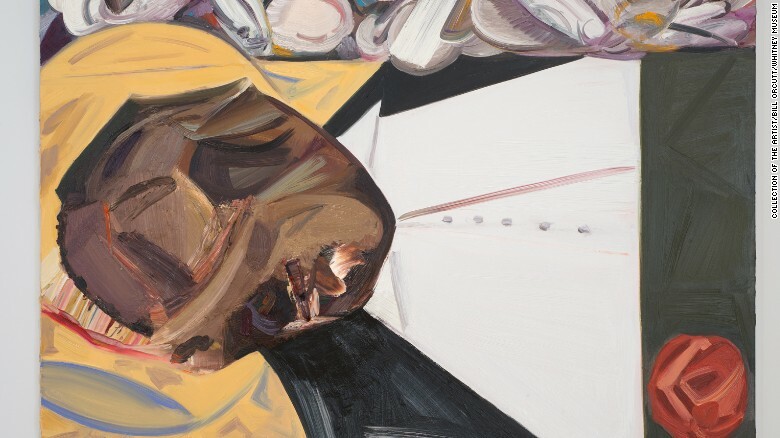 Dana Schutz's painting in the Whitney Museum Biennial, is based on a 1955 photo of 14-year-old Emmett Till's mutilated body, published in Jet Magazine and credited with inspiring support for the civil rights movement. Till, an African-American from Chicago, was killed in Mississippi by two white men who were acquitted, although later admitted to the crime. In 2008, at age 82, the woman who had accused him of making advances recanted her story. Dana Schutz’s painting of Emmett Till tells me, is that a preponderance of white artists, who think of themselves as liberal, have no awareness of their (overused term alert!) privilege and unconscious racism. Exclaiming in droves on Facebook and elsewhere that they know better how black people should respond, their righteous arrogance is mind-boggling—perhaps not a surprise to blacks, but to me, because these are people I know. This also happened a couple of years ago when issues about Kara Walker came up on my blog, with comments on Facebook. Walker, a black artist whose work is collected primarily by whites, often features blacks being abused by whites, as well as Jim Crow imagery, which many blacks find degrading. But when black artists and academics expressed this on my FB page, white artists had no qualms about telling them they were “ignorant” and “anti-art.” One even said that Michele Wallace, who had written a negative essay about Walker, “didn’t understand art”— obviously unaware that Wallace is the daughter of venerable black artist Faith Ringgold. I think of a friend who once worked in a dentist’s office that was decorated with pastoral prints. One showed a group of good ol' boys sitting under a tree, and hanging from one of the branches, barely perceptible, was a noose. The white patients who crowded the office never noticed it, nor did the white dentist who chose it, but it gave my black friend chills. At her request, the dentist took it down. Censorship? Political correctness? No, simply consideration for his employee. And a reminder that not only may we not see things as others do, we might not see them at all. Another white artist friend calls the controversy “trivial” because, he says, it has nothing to do with the day-to-day struggle of poor blacks. In fact, a number of white artists were maintaining that art is unimportant in the scheme of life, or in the face of our current political miasma—a curious stance for those who have devoted their lives to it. But when the protestors call for the destruction of the painting, they turn around and argue for its intrinsic value as if it were a sacred object. While it’s true that many economically disadvantaged blacks, survival on their minds, may never know about this issue and, if they did, might not care what happens at the Whitney, the arts are important in shaping the culture and the perceptions of those who make decisions about our lives. Do we hold our judgment and listen? Or continue to send the message that the white establishment couldn't care less? Beyond the question of the subject matter, a big problem with Open Casket, as Aruna D’Souza and Ann Landi have also pointed out, is that it’s not a great painting, and one wonders if the result would have been different if it were. Instead Open Casket is a Dana Schutz before anything else, with the result that it trivializes and makes a decorative cartoon of a horrific event. As one commenter said, “I'm not sure that 'rubber stamping' a style on a loaded subject is a good strategy for a successful painting”. Adding insult to injury is Schutz’s statement that she was empathizing as a mother, if not a black mother, which indicates she must have missed the conversation around the distinction between “Black Lives Matter” and “All Lives Matter,” at the top of the news the last several years. If I were King of the Whitney, I’d leave the painting up and make the dialogue around it part of the exhibition, posting the dissenting remarks and holding symposia with an eye to giving black voices a platform—because, in the end, the conversation is much more consequential than the painting. I’m an artist, writer (Art in America, ARTnews), teacher/lecturer (where invited), and former slam poet (Nuyorican Poets Cafe) with an interest in progressive politics. My art and many of my magazine features and reviews can be found on my website: caroldiehl.com. Does Frank Stella have a dog? Edward Burtynsky:Essential Elements, Thames & Hudson, October, 2016 (essay). Unspoken Spaces: Studio Olafur Eliasson, Thames & Hudson, April 2015 (essay). Just Painted, catalogue published by the Reykjavik Art Museum, 2015 (essay, The Persistence of Painting,translated into Icelandic). Mad Men Unbuttoned: A Romp Through 1960s America by Natasha Vargas-Cooper, HarperDes 2010, includes an excerpt from my blog post, Thanksgiving with Brigette Bardot and Ann-Margret. Along a Long Line by Michael Glier. Interview by Carol Diehl, essay by Lisa Corrin. Hard Press Editions, Lenox MA in association with Hudson Hills Press, September 2009. Andrew Stevovich: Essential Elements essays by Carol Diehl, Anita Shreve, Valerie Ann Leeds, John Sacret Young, Hard Press Editions, December 2007. A Place for the Arts: The MacDowell Colony, 1907-2007, edited by Carter Wiseman with essays by Joan Acocella, Carol Diehl, Vartan Gregorian, Verlyn Klinkenborg, Robert McNeil, Robin Rausch, Ruth Reichl, Jean Valentine, Jacqueline Woodson, Kevin Young, University Press of New England, January, 2007. The Columnist (Anne Truitt), Art in America, March, 2010. Art in America, March, 2008. The World of Mrs. N (Louise Nevelson), Art in America, January, 2008. Suzan Frecon at David Zwirner, ARTnews, Summer 2015. Inka Essenhigh at Jacob Lewis, ARTnews, February, 2015. Wang Xieda at James Cohen and Pete Schulte at Luise Ross, Art in America, April 2013. Valerie Jaudon at Von Lintel, Art in America, March, 2013. Gerhard Richter at Marian Goodman, Art in America, December 2012. Oskar Fischinger at the Whitney Museum, Art in America, November, 2012, p. 166. Alan Wiener at Feature, Art in America, October, 2012, p. 179. Kehinde Wiley at the Jewish Museum, Art in America, September, 2012, p. 140. Barbara Takenaga at D. C. Moore, Art in America, February, 2012. Angels Ribe at the Barcelona Museum of Contemporary Art, Art in America, December, 2011. Don Voisine at McKenzie, Art in America, October, 2011. Chuck Webster at ZieherSmith, Art in America, June, 2011. 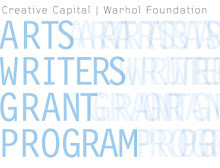 Keltie Ferris at Horton, Art in America, March, 2011. Lynn Davis at Knoedler & Company, Art in America, December 2010. Ree Morton at The Drawing Center, Art in America, December, 2009. John Kelly at Alexander Gray, Art in America, November, 2009. Finnbogi Peterson at Sean Kelly, ARTnews, October, 2009. Sven Kroner at Yvon Lambert, Art in America, January, 2009. Art in America, May, 2008.